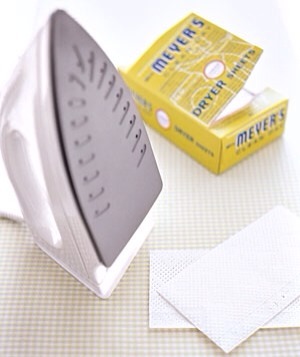 Remove gunk from the soleplate of an iron. With the setting on low, rub the iron over the dryer sheet until the residue disappears, and you're left with a pristine press. 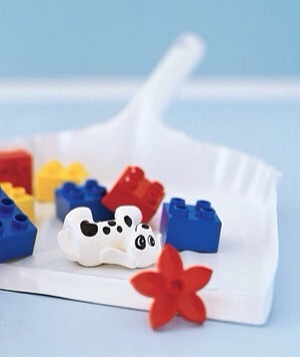 Scoop up small toys―Lego blocks, jacks, Barbie shoes, plastic soldiers—with your dustpan and brush, so you can reclaim your living room for grown-ups. 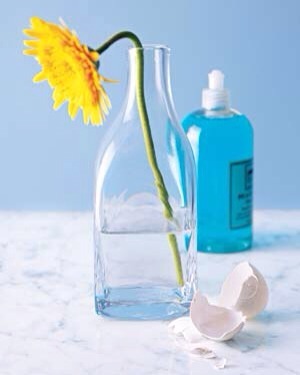 Here’s an idea for all those eggs you hard-boiled: Use their broken eggshells to clean the hard-to-reach places in bottles and vases. Drop some crushed shells in the bottle, add warm water and a drop of dishwashing liquid, and give it a good swirl. 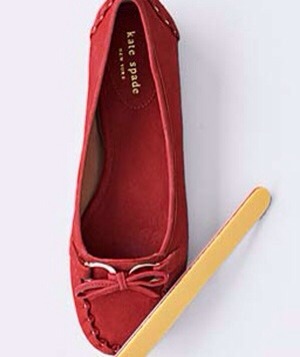 Use the tines to gently fluff plush carpet fibers back to their original height, removing dents left by heavy furniture. Now, that's a real fork lift. 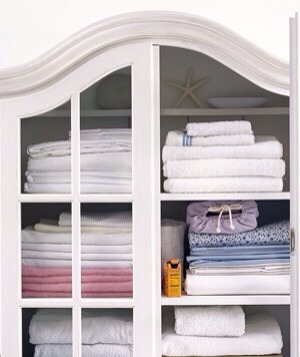 Place an open box of baking soda alongside your stacks of sheets and towels to stave off mustiness. 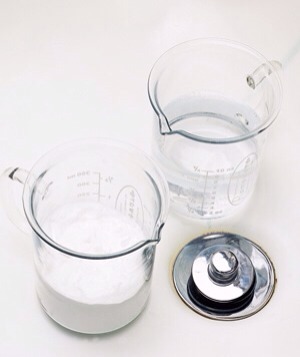 To get your drain running again (without resorting to chemicals worthy of a hazmat suit) pour ½ cup soda, then ½ cup vinegar, down a clogged drain. 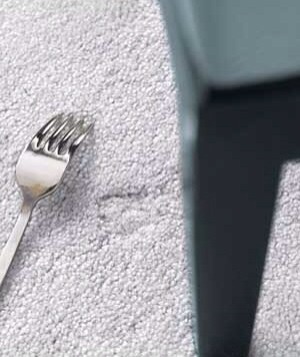 Cover it with a wet cloth, wait 5 minutes, uncover, and flush with steaming-hot water. 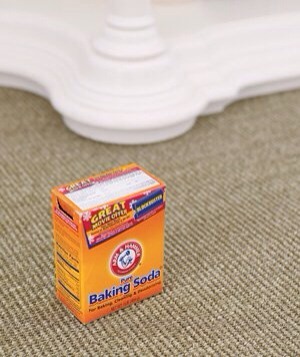 To absorb stale odors from carpet (and to generally freshen up a room), scatter soda on it, wait a few hours, then vacuum up the powder. Protect your car seats from muddy paws by covering them with a bath mat or two before packing Lilly the Lab in the backseat. The rubber bottom will help the mat stay in place. Between trips, stow the mat in the trunk. 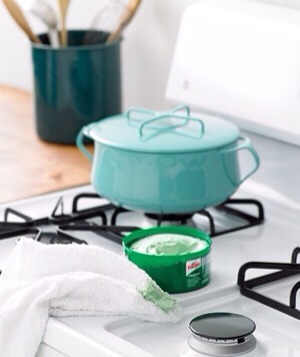 Preserve a pristine stovetop by applying a thin layer of car wax, then wiping it off. Future spills will lift off easily.